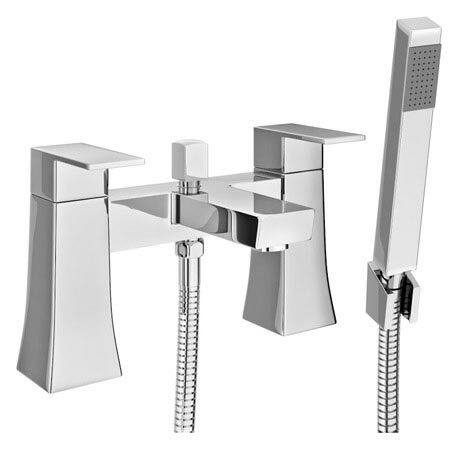 The innovative Dynamo bath shower mixer with shower kit features elegant clean design. Manufactured from solid brass with a shiny chrome finish, it's minimalist design will bring a touch of sophistication to your bathroom. Includes the handheld rectangular shower head, wall bracket and the flexible hose.